Despite global market doldrums, demand for cryptocurrency appears to be booming across Uganda, a country where nearly three out of four people don’t have bank accounts. The early results suggest a strong appetite among unbanked Ugandans for purchasing bitcoin or ether, the two coins the new Binance unit currently lists. Aside from the local focus, the effort differs from Binance’s flagship global trading platform in at least two other notable ways. While Binance only offers trading of cryptos for other cryptos, its new unit in Uganda is partnering with a local mobile payments provider that will convert fiat to crypto or vice versa. (The partner asked not to be named, due to safety concerns related to managing large quantities of cash.) Unlike its Malta-based parent company, a spokesperson told CoinDesk that Binance Uganda plans to eventually open local bank accounts. Further, the prospective Ugandan users are still undergoing the know-your-customer (KYC) onboarding process, verifying their government-issued IDs. Binance was historically known for only requiring an email address to trade crypto-to-crypto. Previously, Ugandans who wanted to trade crypto were mostly reliant on peer-to-peer exchanges like LocalBitcoins or nearby services such as the Zimbabwean exchange Golix. 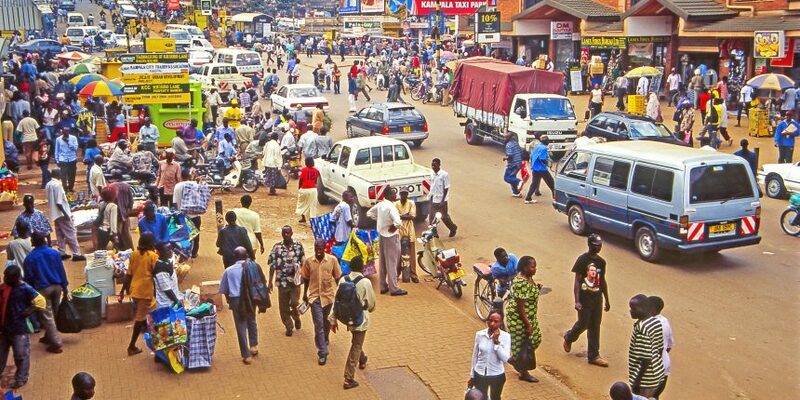 However, Kwame Rugunda, chairman of the Uganda Blockchain Association and co-founder of the Ugandan blockchain startup CryptoSavannah, told CoinDesk such platforms hardly represent a “large population in the country that are unbanked” and “hungry” for access to cryptocurrency. Since Binance Uganda opened, Rugunda said, several other global exchanges have started contacting local regulators. Meanwhile, Zhou told CoinDesk that Binance Uganda is looking to hire local operational staff for both local support and expansion of similar subsidiaries in 2019 to either Kenya, Nigeria, or South Africa. “Uganda is our pivot to reach out to other African markets,” Zhou said. Remittance is a crucial factor driving demand for bitcoin in Uganda, Rugunda said. A 2014 national census revealed nearly 10 percent of Ugandan households received remittance from neighboring Kenya, only a few percentage points below the most popular remittance sources in Europe, Sweden and Germany. But these transfers carry high conversion fees, creating demand for alternatives. Other factors driving cryptocurrency adoption in Uganda are rampant unemployment beyond the agricultural industry and demand for imported products, Rugunda said. “There’s a large consumer market for people purchasing cars, for example, because bitcoin is legal tender in Japan,” where the cars are manufactured, Rugunda said. Meanwhile, the International Labour Office estimated in 2017 that almost 15 percent of working-age Ugandans under 30 were unemployed, plus nearly 49 percent who were employed only had irregular or temporary work. As such, many are becoming self-employed. This harkens to similar factors noted by cryptocurrency advocates in the Palestinian territories, where educated young people look online for opportunities to earn, shop with, and trade crypto when white-collar jobs are scarce. On the other hand, there’s still a long way to go until those 40,000 Binance Uganda users start to rely on bitcoin for daily remittances. BitPesa CEO Elizabeth Rossiello, based in nearby Kenya, told CoinDesk that many Ugandans became skeptical of bitcoin after criminal operations promised Ugandans bitcoin then defrauded them instead. In his dealings with local authorities, Rugunda said he’s seen an increasing openness to the cryptocurrency industry, including the establishment of a National Taskforce for Blockchain. In fact, Ugandan royal Prince Kudra Kalema is currently spearheading an energy project with the crypto startup Wala, which already has thousands of Ugandan mobile app users. Correction: This article has been updated to note that Binance Uganda plans to work with local banks.